The Obama's expressed love for each other on Valentine's Day by leaving messages on Twitter. 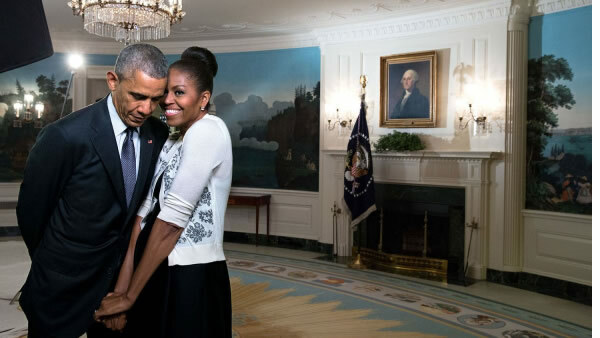 Former President Obama tweeted a photo with a message to his wife saying: Happy Valentine's Day, @michelleobama! Almost 28 years with you, but it always feels new." And the former First Lady responded with a tweet saying: "Happy Valentine's Day to the love of my life and favorite island mate, @BarackObama."